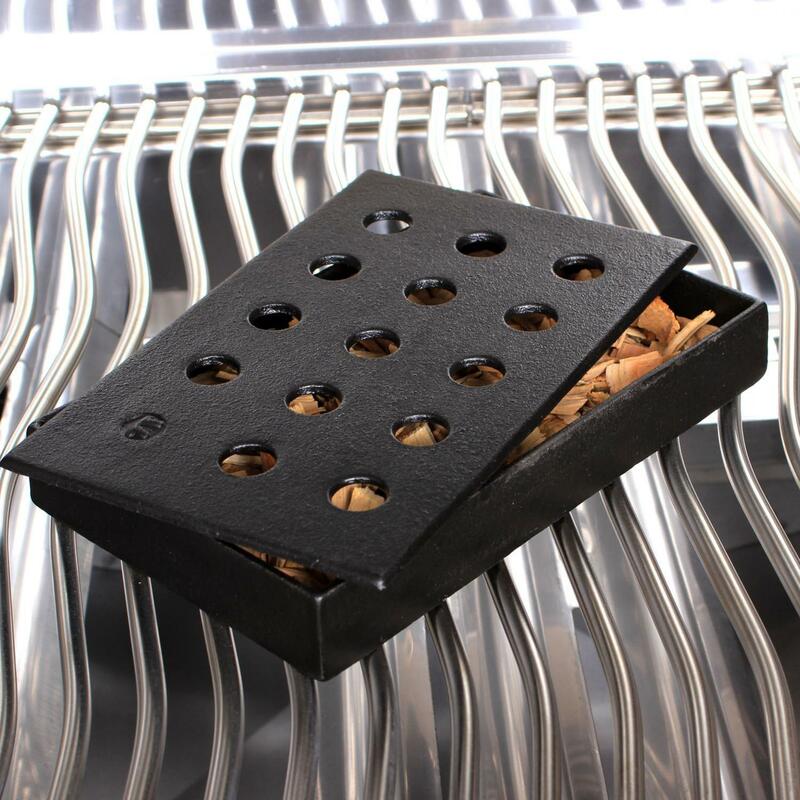 Product Description: Non-Stick Gas Grill V-Smoker Box W/ Chips Set. 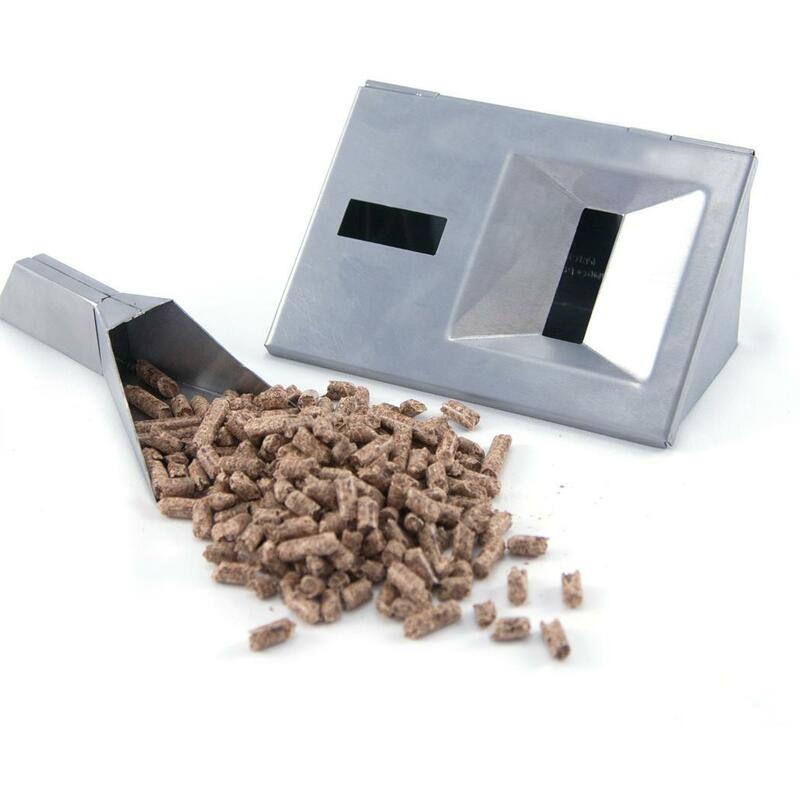 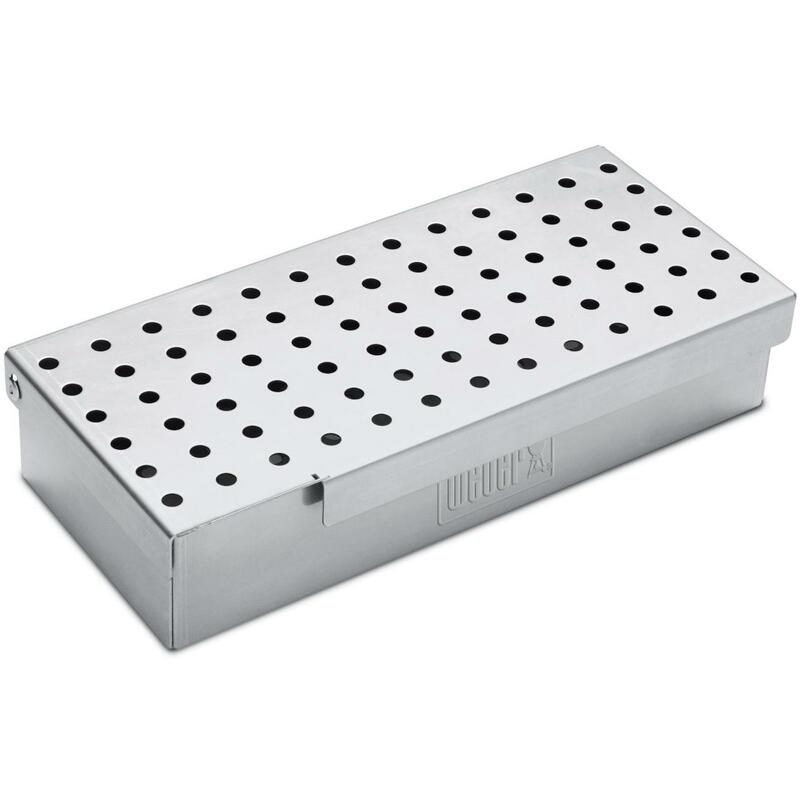 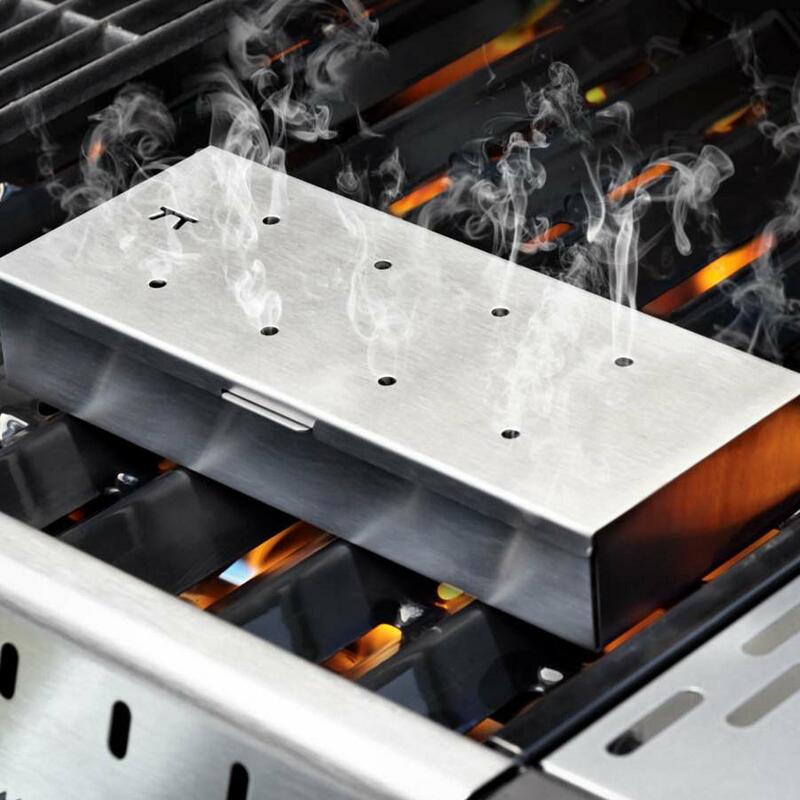 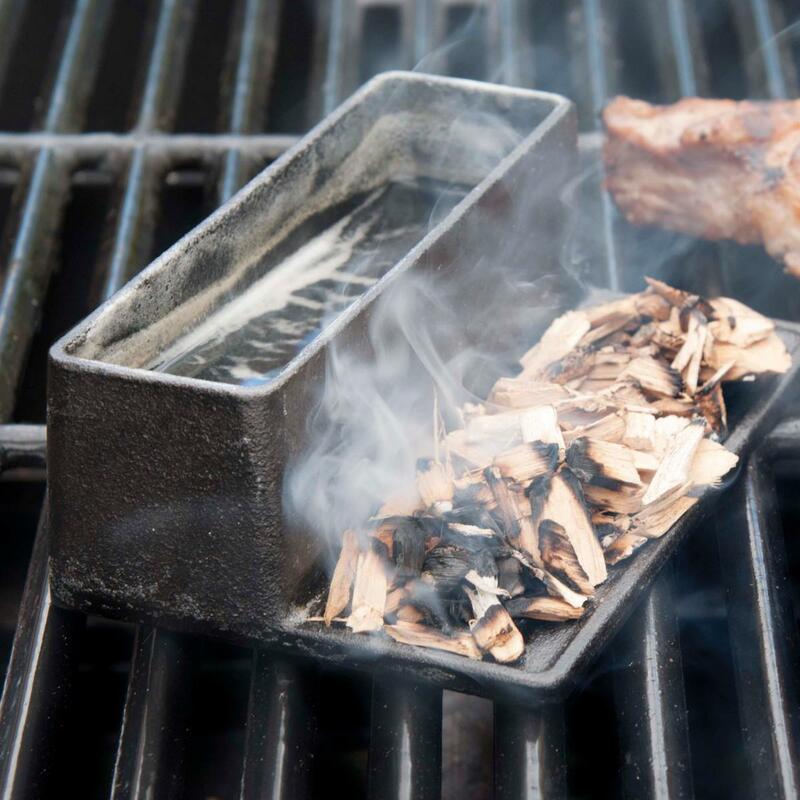 Developed specifically for the gas grill, this unique smoker box features a non-stick, V-shaped bottom which allow them to sit between the flame deflector bars of most gas grills. 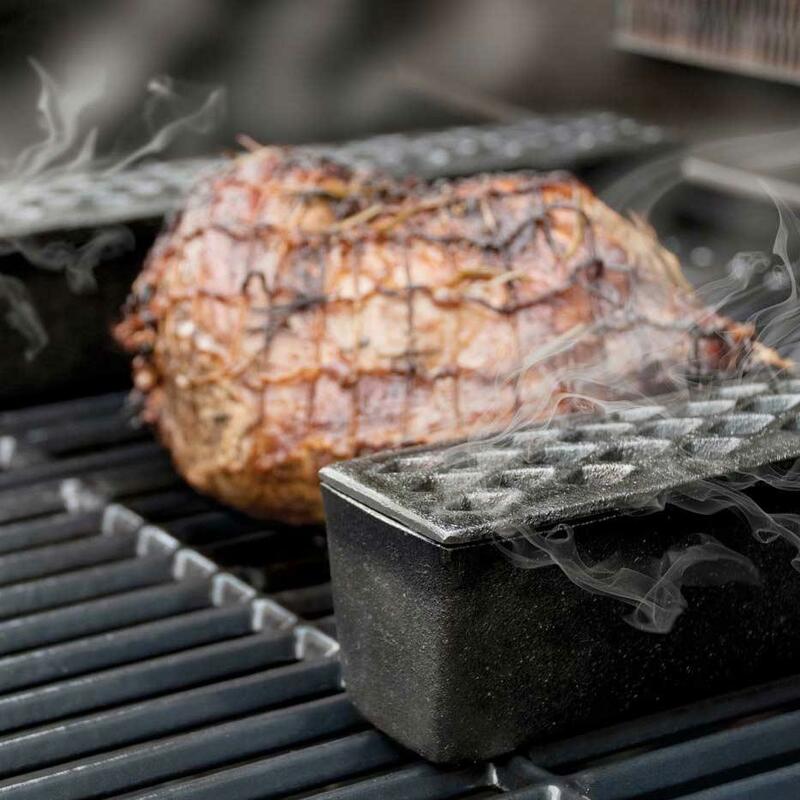 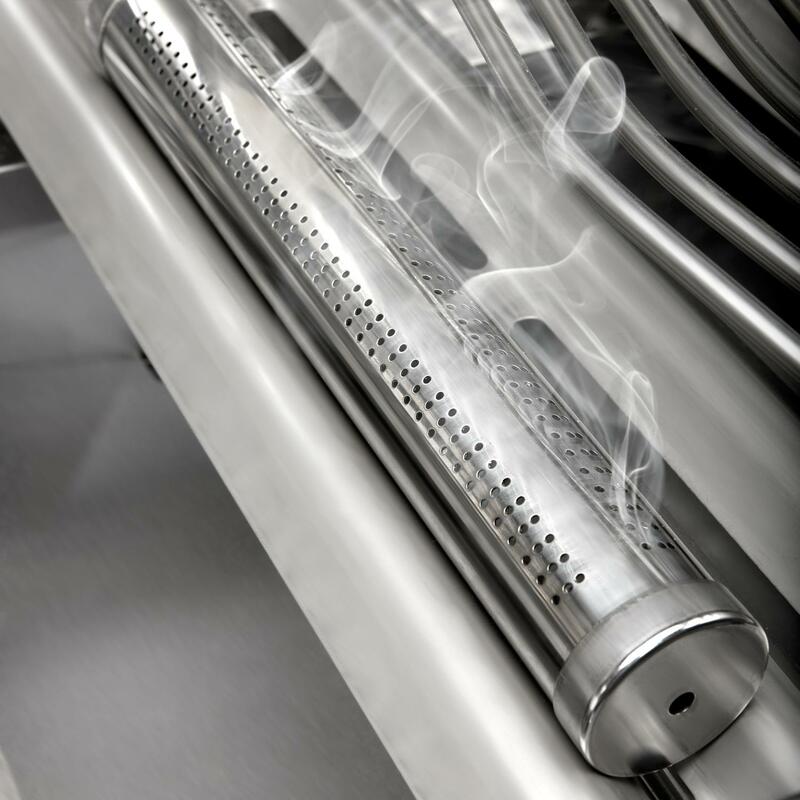 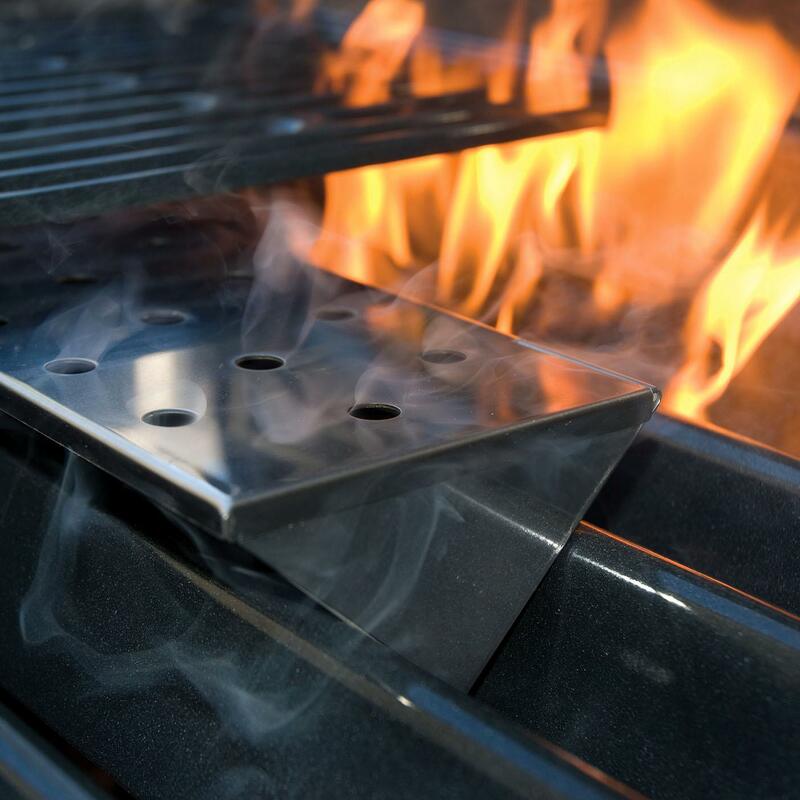 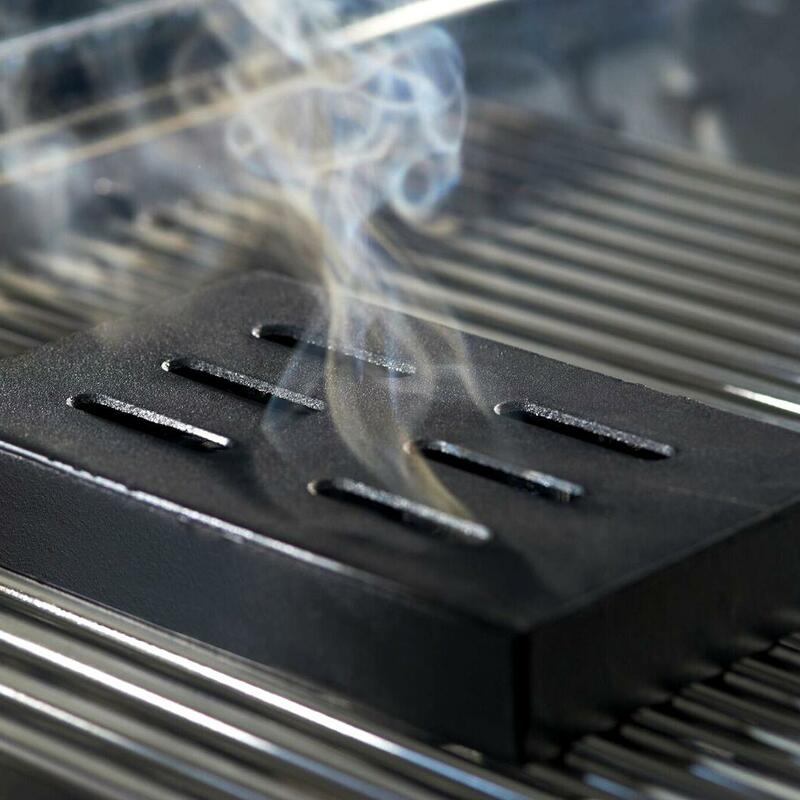 This positions the smoke right beneath the food grate for the most intense smoke flavor, allowing barbecue chefs the convenience of a gas grill without compromising wood smoke flavor. 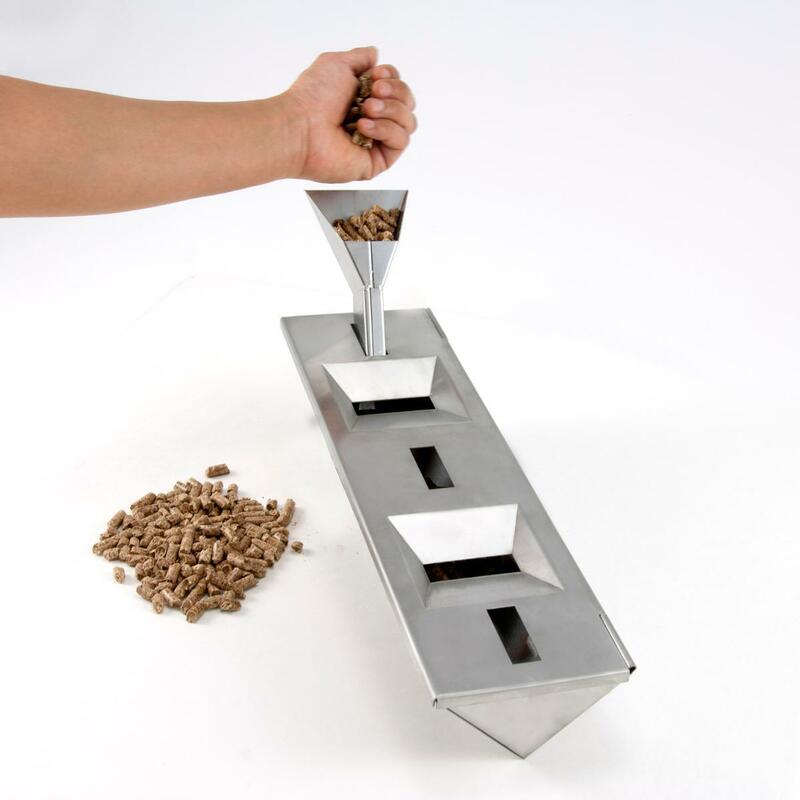 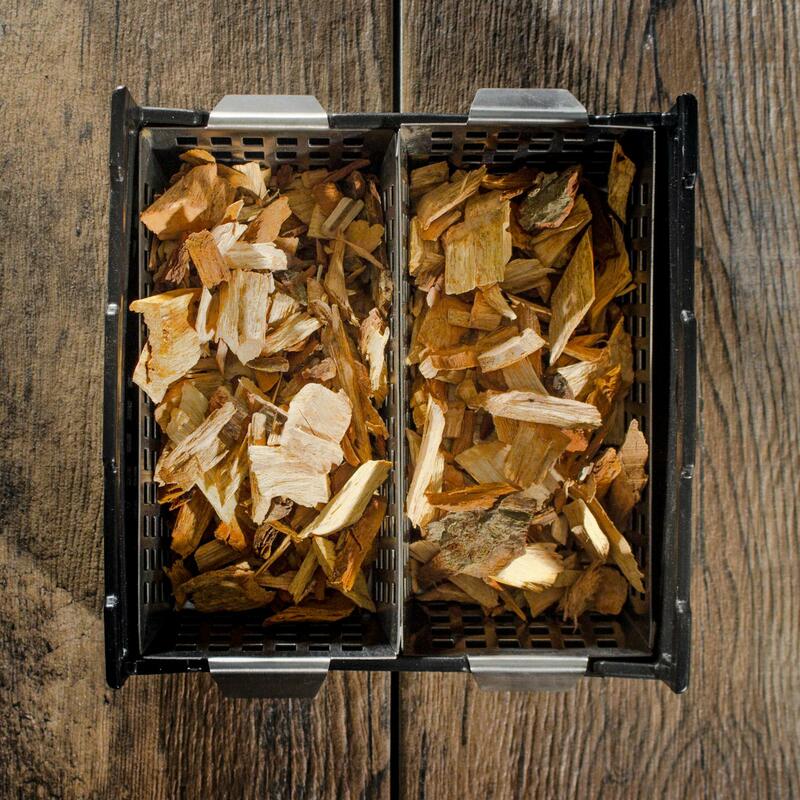 The smoker box will fit chips and split chunks and comes with wood chips.